5 Room for one more? 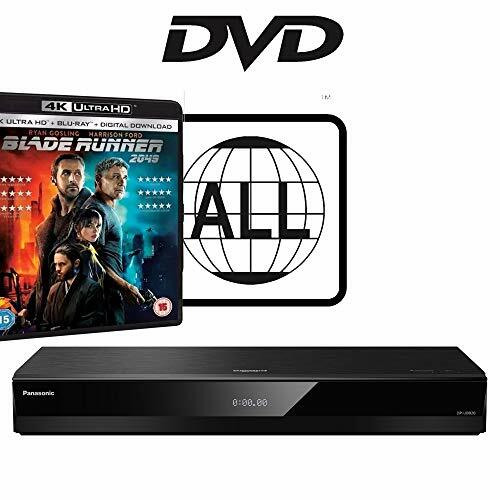 THERE’S NOT MUCH choice if you want a Dolby Vision- capable 4K Blu-ray player to partner a Dolby Vision TV, but don’t want to blow your cash on a high-end offering like the Panasonic DP-UB9000 or Pioneer UDP-LX500. 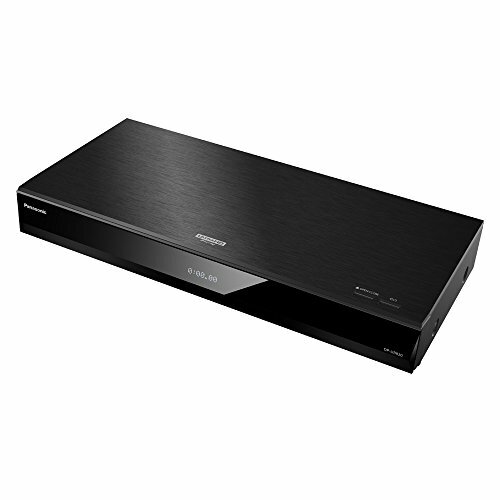 Typically, it’s been a coin toss between the Sony UBP-X700 and LG UBK90, the latter an upgrade on the previous UP970. But now there’s a third way. 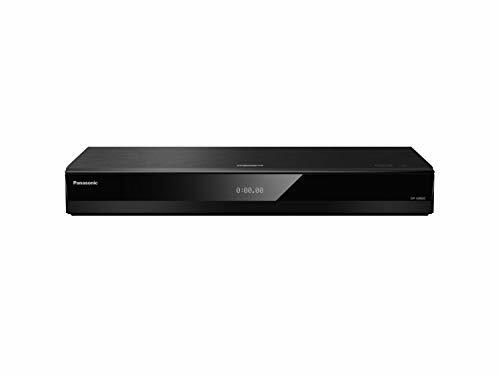 Panasonic’s DP-UB820 is a mid-range proposition, positioned north of the entry- level DP-UB420, and supports both Dolby Vision and rival dynamic metadata standard HDR10+, the platform created by 20th Century Fox, Panasonic and Samsung. While only a handful of titles that utilise HDR10+ are available at the time of writing (see page 30 for more), it’s good to know compatibility is waiting (remember you’ll need a matching TV, too). 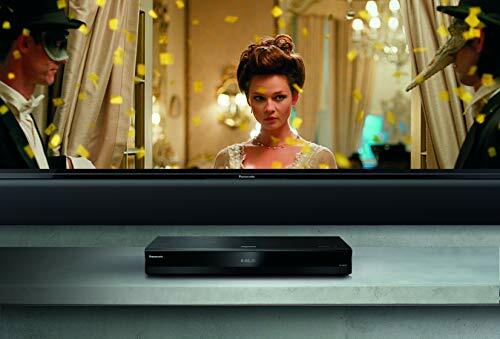 So does this model represent a sweet spot when it comes to HDR Blu-ray players? Well, not exactly. While the specification appears to ape the brand’s flagship, the cosmetics borrow from Panasonic’s budget model. It’s nearly, but not quite, an update on the well regarded 2016-era DMP-UB900. down to reveal the offset disc tray. There’s also a USB port for media playback. Manual buttons sit up top to handle power and disc loading. 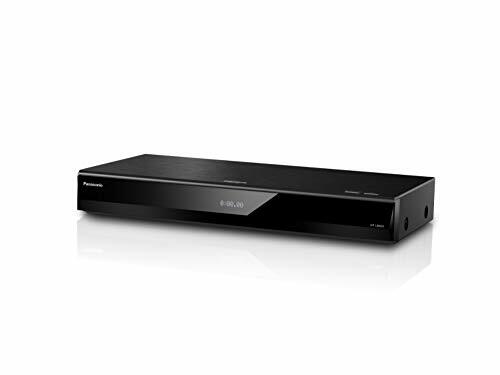 Rear connectivity includes twin HDMIs (one an audio only output, for those using a pre-4K AV receiver who need to route UHD video directly to a screen); Ethernet; another USB (a speedy 3.0 connection); and an optical digital audio output. Wi-Fi comes as standard if you don’t want to stay tethered. 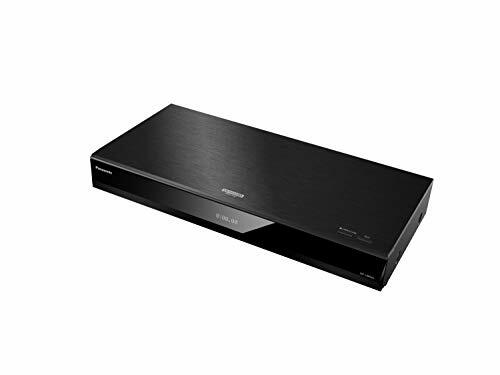 There’s also a full 7.1 bank of phono analogue audio outs should you need a direct analogue 7.1 connection – a feature that marks this player out as higher-spec than its Sony and LG rivals. 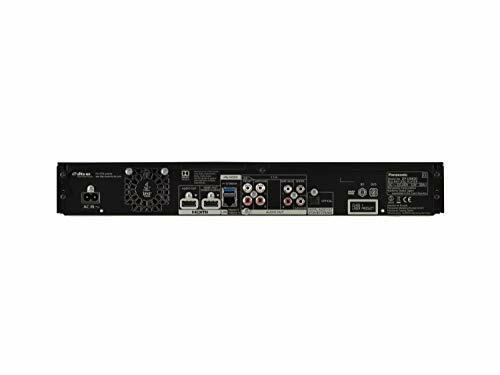 However, it’s worth noting that you can’t configure the player to output both analogue stereo or full 7.1 analogue audio, as well as audio via HDMI. It’s an either/or option. 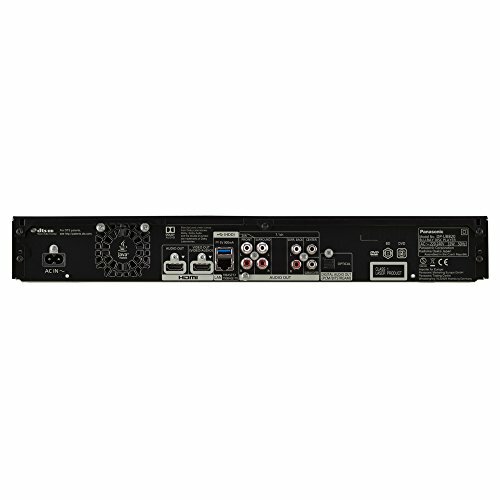 Given that most users will want to employ the player in a home theatre environment, bitstreaming Dolby Atmos or rival DTS;X audio, this flatbed 7.1 analogue output is therefore unlikely to find many takers. The player ships with a compact, unglamorous IR remote. 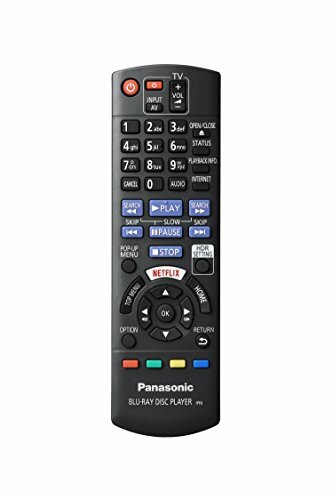 This has a dedicated Netflix button, pointing to the DP-UB820’s side-line in video-on-demand. Out of the box and powered up, the deck operates just like its cheaper sibling [reviewed in HCC #291]. It has the same familiar menus and features as the DP-UB420, including network services and streaming portal features. There, in addition to Netflix, you’ll find Amazon Prime Video, Berlin Philharmoniker, BBC News/Sports and YouTube. The portal does look rather dated, but the Netflix app supports Dolby Vision and Dolby Atmos, which is a welcome touch. Other niceties include promised support for Amazon Alexa and Google Assistant. Once enabled you’ll be able to use voice to fast forward or pause movies. 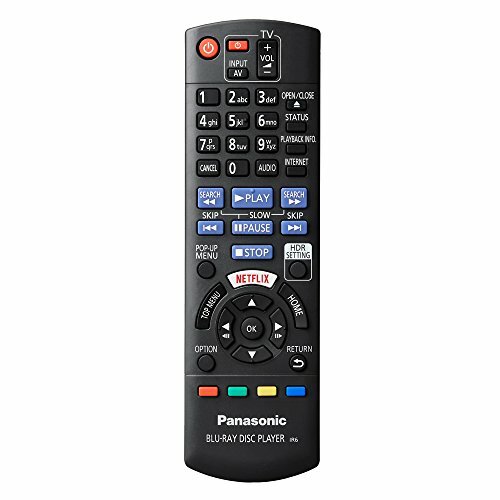 It’s difficult to gauge how much value this brings to the user experience; after all, the dumpy remote does exactly the same without the need for verbosity. Despite that analogue output, this player doesn’t have the high-end audio aspirations of the DP-UB9000. Sonically, its performance is more a mirror of the cheaper UB420. There’s no universal music disc support, so don’t expect to play any SACD or DVD-Audio discs you have stored away, but it does a functional – if not inspiring – job with CD, and boasts 24-bit hi-res audio and DSD file support. Anticipation that the DP-UB820 delivers on the picture front is quickly rewarded. The deck uses the same impressive second-generation HCX image processor as its stablemates, and does a commendable job with both Ultra HD platters and regular Blu-rays. UHD discs are upscaled to 4:4:4 colour sub-sampling. The player also sports the brand’s HDR Optimiser technology. 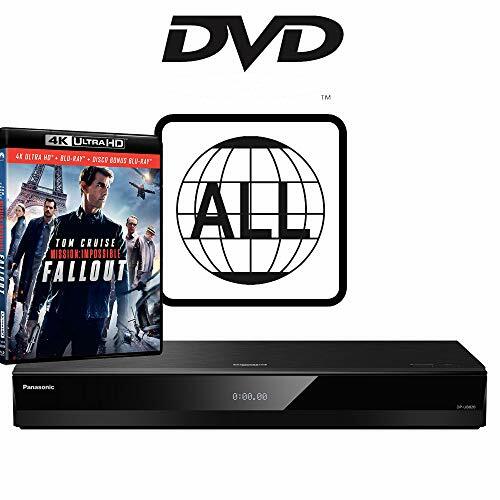 Accessed via the HDR Setting on the remote control, this offers options for a variety of viewing situations: Standard, Bright Environment, Natural Environment and Light Environment. The Optimiser lifts brightness and contrast without washing out an image. It effectively adds an extra level of pop, which makes HDR easier to watch in a brighter viewing room, but also makes the image jump in a light controlled environment too. Transformers: Age of Extinction (Ultra HD Blu-ray) looks ravishing with the tweak in play. The boost brings more ping to the picture. For example, when Lockdown rises ominously from the swamp, as the Cemetery Wind strike force take down Ratchet, texture and detail becomes easier to spot in its dark, wet armour. The resulting firefight dazzles in just the right way (the scene is tailor-made to show off an OLED panel). There’s no doubting the deck’s powerhouse processing chops. Dolby Vision tends to offer slightly better precision in terms of HDR definition and colour handling, and this is evidenced by the sheer, smooth vibrancy of the DV- encoded Despicable Me 2 (Ultra HD Blu-ray). While the player supports multi HDR formats, it doesn’t offer all the refinements that make the DP-UB9000 [see HCC #292] so interesting. An obvious omission is that there’s no Max FALL/Max CLL playback information, so you can’t use the player to lift the veil on UHD disc mastering data. Spin a platter and you get the standard display options. 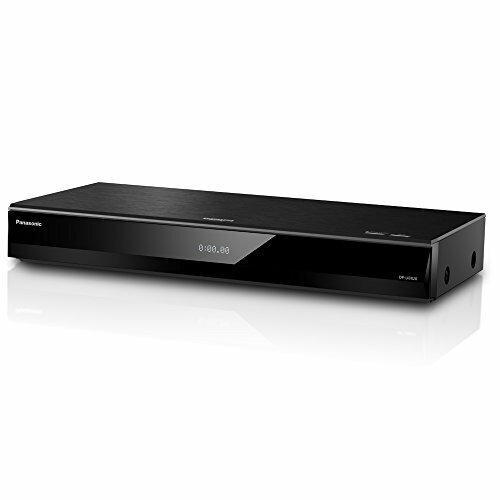 The DP-UB820 faces tough competition from Panasonic’s own low-priced, over achieving DP-UB420. 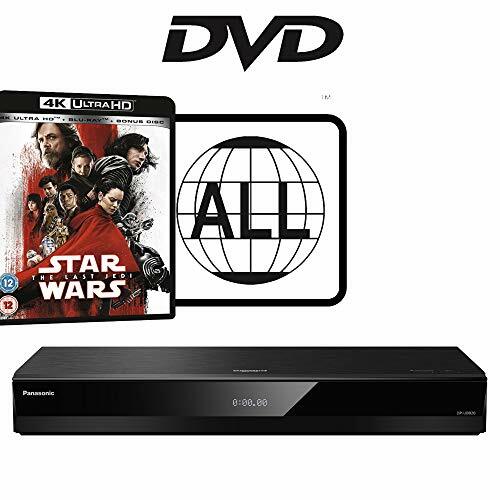 However, if you need to add Dolby Vision disc playback to your system, without breaking the bank, the price premium will be worth the outlay, even if that 7.1 analogue output will remain redundant. Of course, if Dolby Vision isn’t required then the step up from its budget brother is far more difficult to justify. Highlights here are broad HDR support and an excellent image performance with user tweaks. The basic remote and user interface, plus average CD playback, take the shine off. 3D: Yes ULTRA HD: Yes HDR: Yes, HDR10; HDR10+; Dolby Vision UPSCALING: Yes. 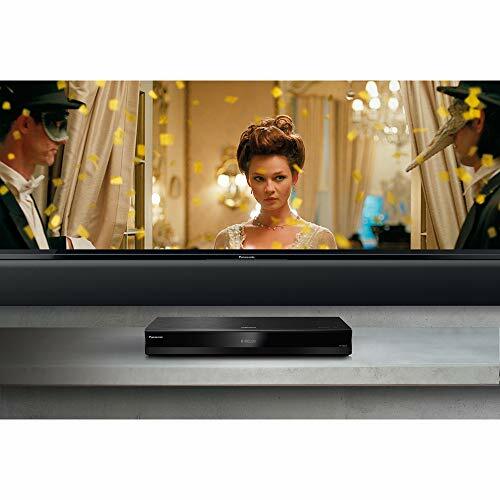 LG OLED55B8: One of the most affordable ways to upgrade your display to Dolby Vision, this 55in 2018-era LG OLED. A less powerful processor is used versus the E8 and C8 models, but image quality still beguiles.